This retrospective was pretty great and I was lucky to go! Fortunately I won tickets AND an exhibition catalog via a raffle at the Museum of Fine Arts Houston. I don't understand how it ended up being me but it was - I won. I think I am meant to be in a museum when I have my revelations. I can write about my experiences with this thought some other time. 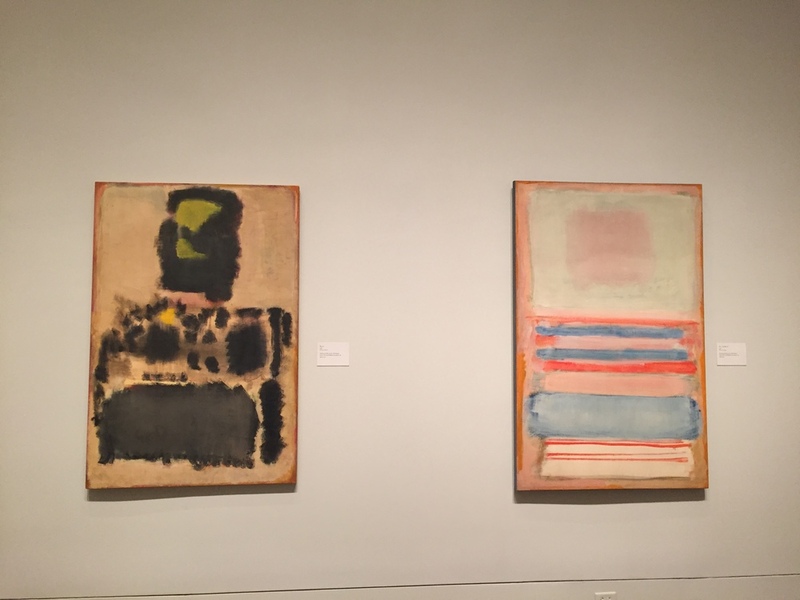 College Memories: I have so many memories talking about Abstract Expressionism. Especially in Houston. There was this one time in college when tha bear bff came up to me and my friend (these guys were so cool) and he told me "oh so you like that #AbEx." It was cool because he didn't really even know me and it impressed me because he was intuitively right. I really like abstract expressionism. Especially the women of #AbEx. Personally it makes me feel grounded and chaotic at the same time. This comforting juxtaposition where you can just sense the feelings and the steps the artist took to give it all up to the canvas. Houston Memories: The Rothko Chapel is the most sacred place in Houston. A friend from New York once told me that a "trip to Houston without the Rothko Chapel, would be like no trip to Houston at all." My thesis director mentioned his name quite a bit during our time together and she even introduced a lecture by Chelby King. Chelby King was a co worker at the Jenkins Architecture + Art Library and wrote her Masters thesis: Mark Rothko's Houston Connection. I use the lecture pamphlet for reference all the time. at once framing and framed by one another" (34).